I’m so happy to be the host of this week’s Food Matters Project. It’s a perfect recipe for our household these days. Between a new schedule and a new job, our lives have been a bit busy. Easy, make-ahead and delicious recipes are perfect for us. 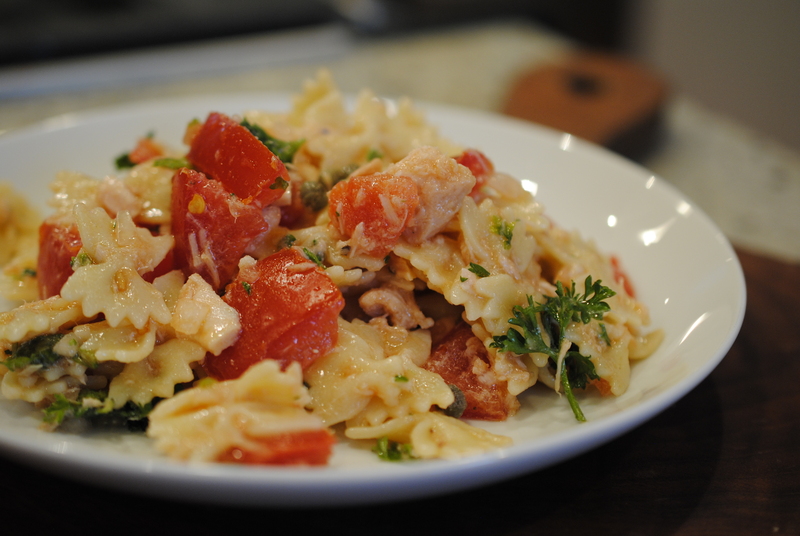 A while back I chose Mark Bittman’s Pasta with Tuna, Tomatoes & Capers. It’s a great recipe that can be changed to what you have in your fridge. It’s fantastic prepared the night before, and wonderful for lunch the next day! 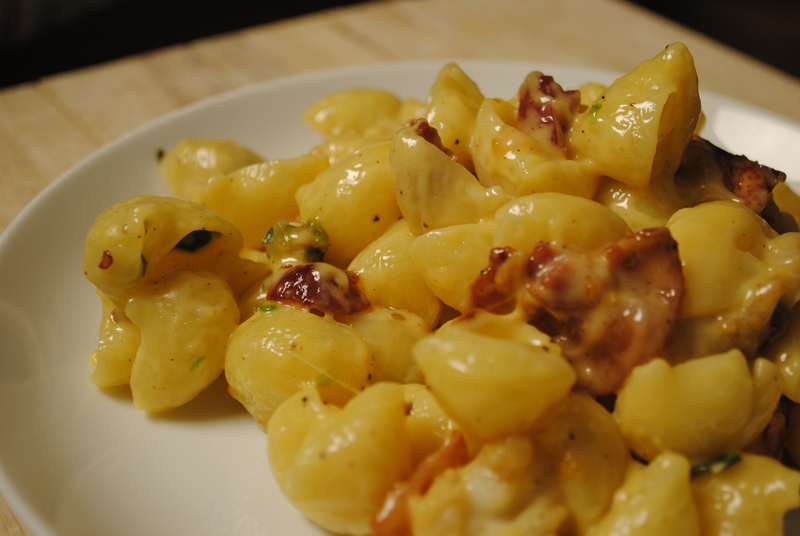 Check out what other FMP participants did with their recipes here. I love tuna salad, but I really hate to order it in deli shops or restaurants. There is always so much mayo in there, it doesn’t have the tuna flavor. And it’s heavy, loaded with calories. I loved this pasta salad- served cold, it was perfect for a hot summer day, and it’s still light enough that it doesn’t make you too sleepy after you eat it for lunch! Cook pasta according to the directions on the box. In a large bowl mix together the following ingredients: cooked pasta, tomatoes, tuna, onion, capers, parsley, olive oil, red pepper flakes, salt and pepper. Stir well and serve. I’ve had Mark Bittman’s book now for over a year, and I’m very upset I had not picked it up more often to find new and fun dishes. As each week passes, I love this project since it’s a great way to go though a book. And I love seeing what people pick out as their dish. We’re in week four of the Food Matters Project. 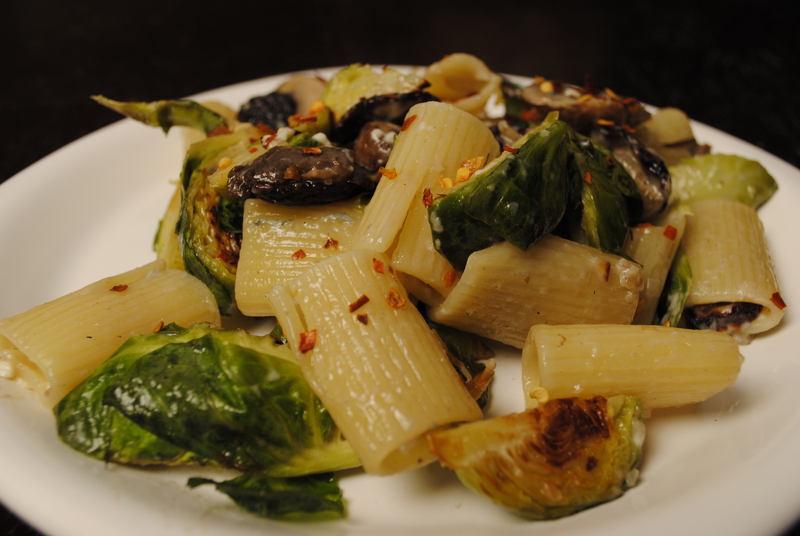 This week’s host was Marcia and she chose a delicious dish- Baked Rigatoni with Brussels Sprouts, Figs and Blue Cheese. Remember when I made the fig flatbread this past summer? That was the day I fell in love with figs! 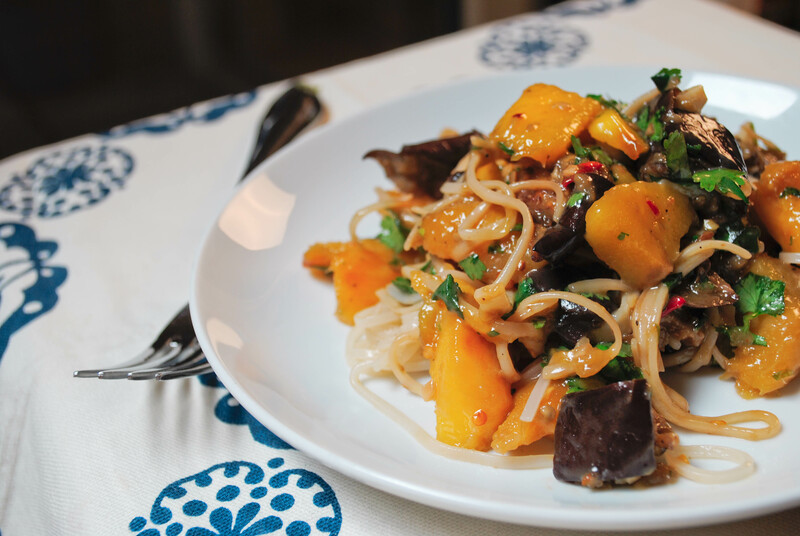 Once they’re in season, I might have to remake this dish- it was absolutely delicious. Unfortunately, figs are not in season in DC at this time of the year. So I used dried figs which I found at Whole Foods. Although, you can use cranberries, dried cherries or any other dried fruit in this recipe. It’ll all work well. When making this dish, we used more brussels sprouts, and added mushrooms and onions. We also didn’t bake the dish, but that is all preference. This is definitely one you can impress all of your friends with, or enjoy it as an easy weeknight meal. Bring a large pot of water to a boil and add 1 tsp salt. Once the water is boiling, add the pasta and cook it for 10-15 minutes. Preheat the oven to 400°F. Meanwhile, mix the brussels sprouts, garlic with the olive oil and 1 tbsp salt. Bake this mix for 20 minutes, or until the brussels sprouts are tender in the middle. Melt butter in a skillet. Then add the mushrooms and onions. Sauté the vegetables until the mushrooms and onions are soft. Once the pasta is cooked, drain it and add it back into the pot. Add in the figs and blue cheese, stir together so the cheese starts to melt. Then add in the mushroom and onion mix. Stir well before serving. We’re onto our third recipe for the Food Matters Project. I apologize for the delay, but we were out of town this weekend- and with no groceries in the fridge, it’s hard to make dinner! Whenever I come back home, whether it’s from vacation, a work trip or just a weekend getaway, I always want something home cooked and fresh. But it’s very difficult to have anything in the fridge if you were gone (since it’ll go bad). Does anyone have great recipes which they make once they’re back from being out of town? If so, I’d love to hear them (or have some links). 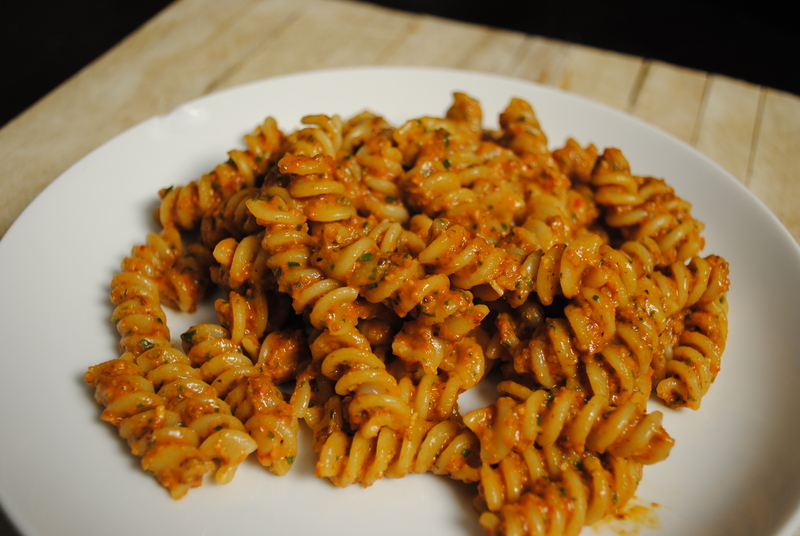 This week’s challenge was: Roasted Red Pepper and Walnut “Pesto”. Mark Bittman gave some ideas on how to change up this pesto, which we did- although we also had some of our own ideas. As he suggested, this does not only need to go onto pasta, feel free to pour it over vegetables, use it as a spread or an appetizer dip! As with many recipes which we make, feel free to change out any ingredients which you like or don’t like, or have in your fridge or pantry. For example, we used arugula- but spinach would be a great substitute. Instead of pine nuts, use walnuts. Or add some beans. There are a million possibilities! Heather has chosen this weeks recipe of Roasted Red Pepper Pesto. Add dry pasta to liberally salted, boiling water. In a skillet over medium heat, add garlic to 1 tbsp of heated olive oil and sweat for 1 minute, being careful not to burn. 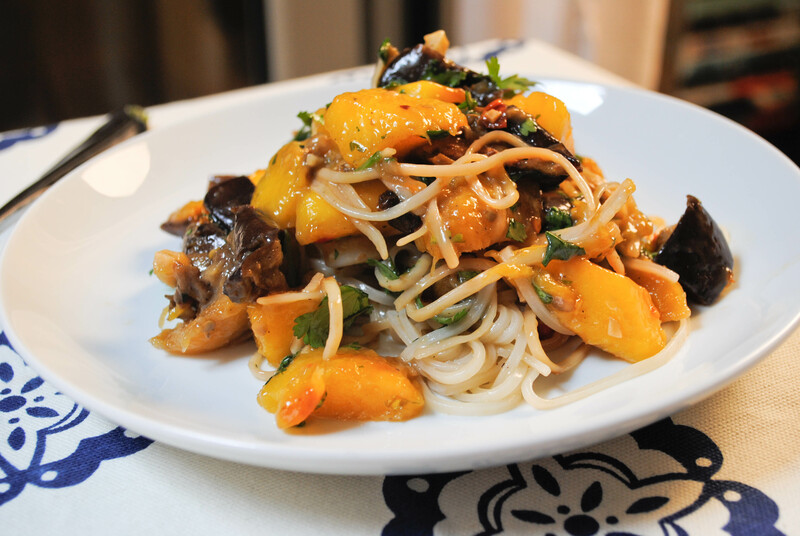 Add mushrooms, pine nuts, pepper and crushed red pepper and saute until the mushrooms are soft. Add arugula and saute another 1-2 minutes until wilted. Transfer mushroom/arugula mixture, olives, sun-dried tomatoes, red peppers, and grated cheese to a food processor. Process mixture, slowly adding about 2 tablespoons olive oil until smooth. Add salt and pepper to taste, then pour mixture over drained pasta and serve! We made this delicious chocolate dessert for Valentine’s Day, so we couldn’t just have a boring entree for dinner, right? So we decided to make some macaroni and cheese, but spiced it up a bit. Something different, something special. Last Sunday we had wandered the aisles of Whole Foods when Sam had a great idea- what about lobster? Yum. And then right before we started cooking, we found a package of bacon that we hadn’t used up. Double-yum! In a large pot, add the pasta to liberally salted, boiling water. In a skillet, cook the bacon on medium high heat until done, then remove with a slotted spoon and set aside. Add the lobster and jalapeños to the bacon fat, and cook on medium high for about 4-5 minutes, then remove with a slotted spoon. Drain the pasta when al dente, then return to the pot you cooked it in. Add the lobster, bacon, jalapenos, cheese and butter to the pot and mix thoroughly until the cheese and butter are fully melted. Add salt, pepper, and crushed red pepper to taste. That’s it!